Ideally situated between Helston and Penzance, Praa Sands is a superb spot to perfect your sandcastle skills. With the beach stretching out to nearly a mile in length, there is enough sand for even the most ambitious children. Flat seas during the summer months also make Praa Sands optimal for paddlers or burgeoning surfers, and with a restaurant, shop and café all located beach side, all you need to do is turn up, lie down and relax. For those families who fancy a picturesque beach, emerald green seas and nearby entertainment, Porthcurno is surely the number one choice. 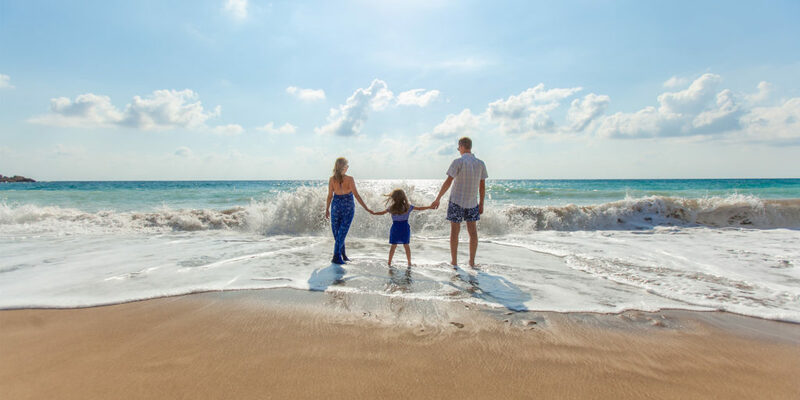 Located three miles from Land’s End, Porthcurno is fantastic for families as its narrow beach head ensures you can always keep an eye on the kids whilst enjoying the sun yourself. The Minack Theatre is also carved into the nearby cliffs – so why not make a day of it? Moving north, four miles outside of Newquay you will find Mawgan Porth beach. If your family wants to escape inevitable summer crowds, then Mawgan Porth may be the beach for you. An abundance of rockpools and even a large stream running down the south side of the beach provide hours of entertainment for the little ones and if you think your dog would like the sound of this, as an added bonus Mawgan Porth is dog friendly all year round! If a scenic coastal train ride which stops just outside a beach sounds right up your street, Porthminster is perfect for your family. Hop off the train at St Ives and enjoy a short stroll to this family favourite. 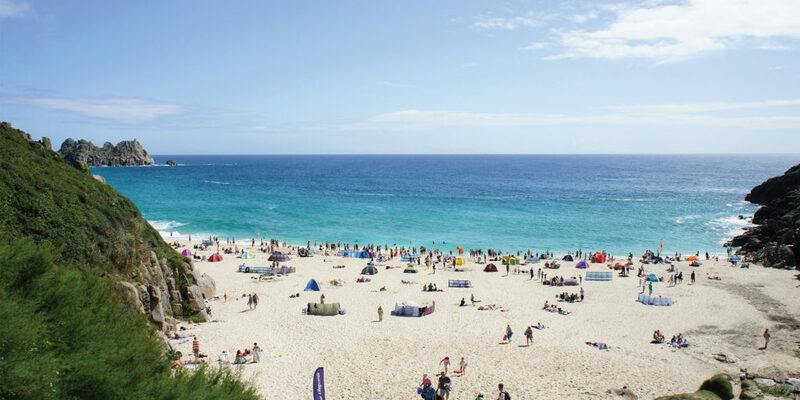 Porthminster truly has something for everyone; whether you’re a swimmer or a shopper, this Blue Flag beach has all the ingredients for a great family day out!